I had so many good intentions yesterday. I planned to start my Christmas shopping, harvest the olives, make salsa with the mass of chillis we still have growing, freeze the aubergines and do a countless other things; the list was endless. But none of it got accomplished, not one thing. I have been thinking a lot about the First World War, as today is Armistice Day, which is a public holiday here in France. 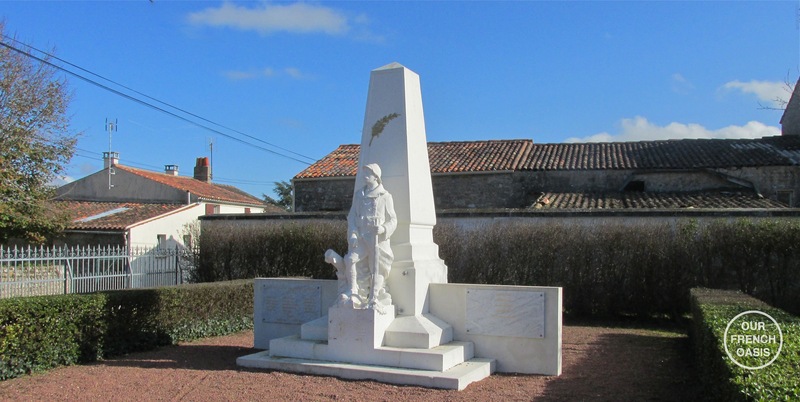 In every town and village there are war-memorials and today the local people will gather about them, flowers will be laid, and we will all remember someone who is no longer with us; for we all have grandparents or relations who were affected by WWI. 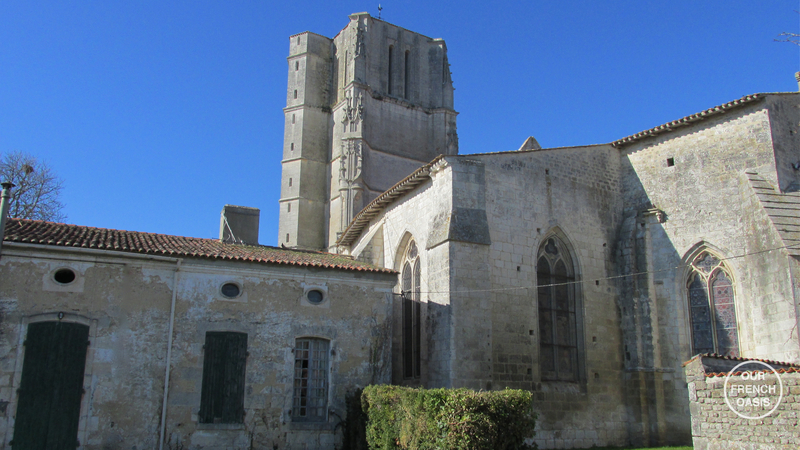 Church services will be held and church bells will ring. I think as one gets older one thinks more about these things. As a result, I wanted to write a post today thinking of all those people who fought for us and who gave up their lives for us, so that we could all live the lives we lead today. 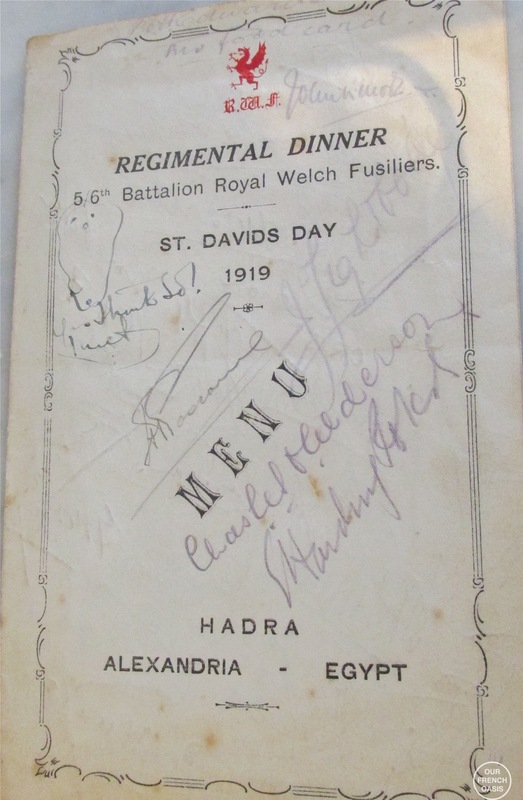 My grandfather was in the 5th Battalion of the Royal Welch Fusiliers; he was in the trenches at Ypres, and he was one of the lucky ones as he survived. In fact he lived until he was 91 years old. He was one of the most incredible people I have ever known and it was whilst thinking about him and Armistice Day that I got so distracted. I have a small leather suitcase of his in which he kept all of his past momentos, many of them are from that dreadful war. Occasionally I open up this case and when I do I am engrossed for hours, scattering papers all over the table. Yesterday was one of those days. However, this time everything was a little different as the children joined me when they arrived home from school after being collected by Roddy (he volunteered as he saw I was engrossed in memories), and they too are fascinated by the treasures in this little case. Everything is so carefully preserved. And although in 1918 the war may have finished in Europe, it hadn’t finished for my grandfather, as he then went out to Palestine where he continued fighting until the end of 1919. 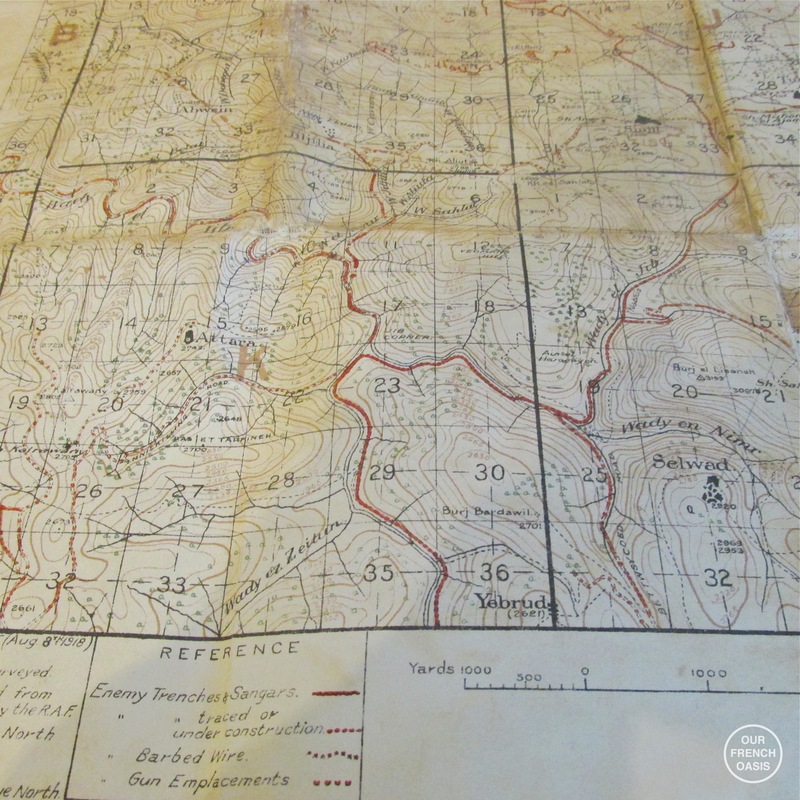 There is so much history in this one little valise, it’s full of the many things he carried with him 100 years ago, like this map – I presume he carried this into the battle-zone. 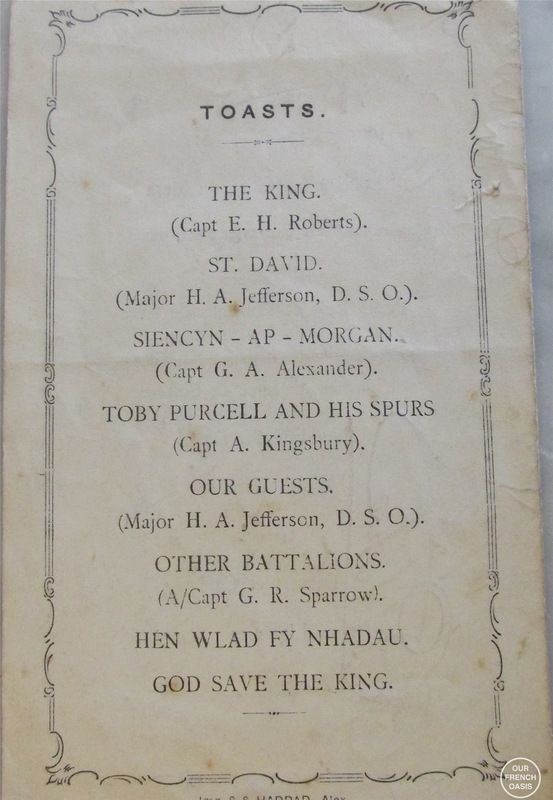 This dinner menu was, I assume, signed by everyone at his table at a Regimental function in Egypt. 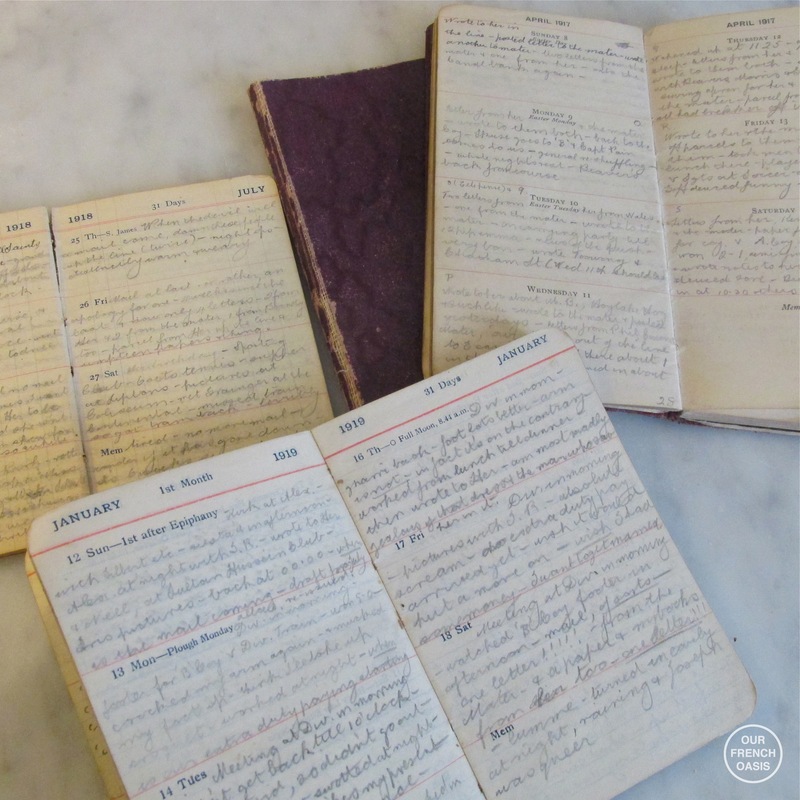 Throughout the war he kept a diary, and the end result is a collection of small beautiful leather-bound books. Virtually every day he wrote entries, usually in pencil, and in impossibly small hand-writing…. it is oh-so-difficult to read; but it tells his life, and how he felt at the worst of moments. Nearly all the notes are about letters received or sent and of course about my Grandmother to whom he was engaged at the time, always referred to as “her”. It really makes one understand the importance of communication, the news from home and the letters written and received; they are so obviously the logical constraints that kept him sane at times. Here are a couple of excerpts from October 1917. Amongst the many things in this treasure-trove of a suitcase is an original newspaper. 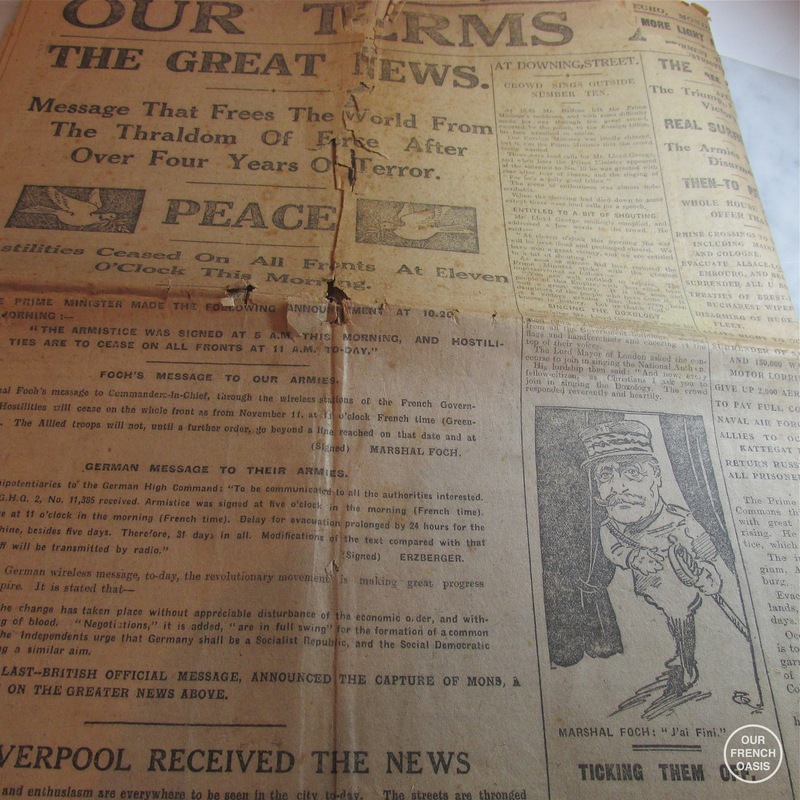 It is the Liverpool Echo, dated Monday, November 11th, 1918. With very great care, for the paper is very nearly a century old, I read the headlines, I opened it up and read the articles; I was totally engrossed and I have to admit I had a huge lump in my throat. Tucked away in a small leather purse is one of the most important mementos. Carefully wrapped in a piece of the original, bloody bandage, is a scrap of battered metal, the size of half a finger-nail. 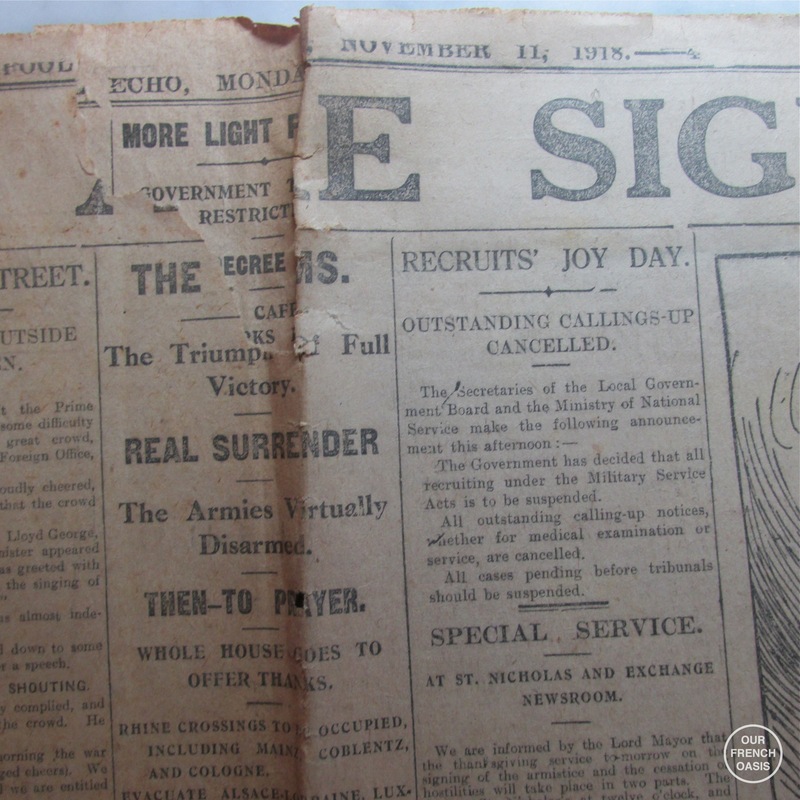 It is the piece of shrapnel that sent my Grandfather home for a spell of surgery and convalescence at some stage, and accompanying it is the small print of the x-ray and the letter that was needed to accommodate his passage. I find the whole thing a bit horrifying, but the children and Roddy think it is fascinating; and Roddy, being a man, said he would have done exactly the same. But, there is another story, too; another war, and this time it is WWII. Our house here in France was bought in 1936 by a Parisian and his English wife as their summer residence. He was a physicist and when WWII broke out he was working on a specialist piece of equipment; he crossed the Channel on a fishing boat and arrived in London with the completed piece just 6 weeks before the Germans reached Paris, and it is indeed true that without his work the allies would almost certainly have not won the Battle of Britain, and in all likelihood would not have won the war. During the years he spent abroad his wife moved south to the house and lived in it permanently with their children for the duration of the war; at the time the property had 15 hectares of agricultural land on which she grew vegetables and fruits, most of which probably supplemented the larders of the entire village. Old people we have met here talk of her ploughing the land with oxen, and having a store full of fruit. After the war the whole affair was developed into a full-time business, as there was so much produce. A few years later the street on which our house sits was named after ‘our’ scientist, and when we bought the house we inherited with it the very desk at which he worked. 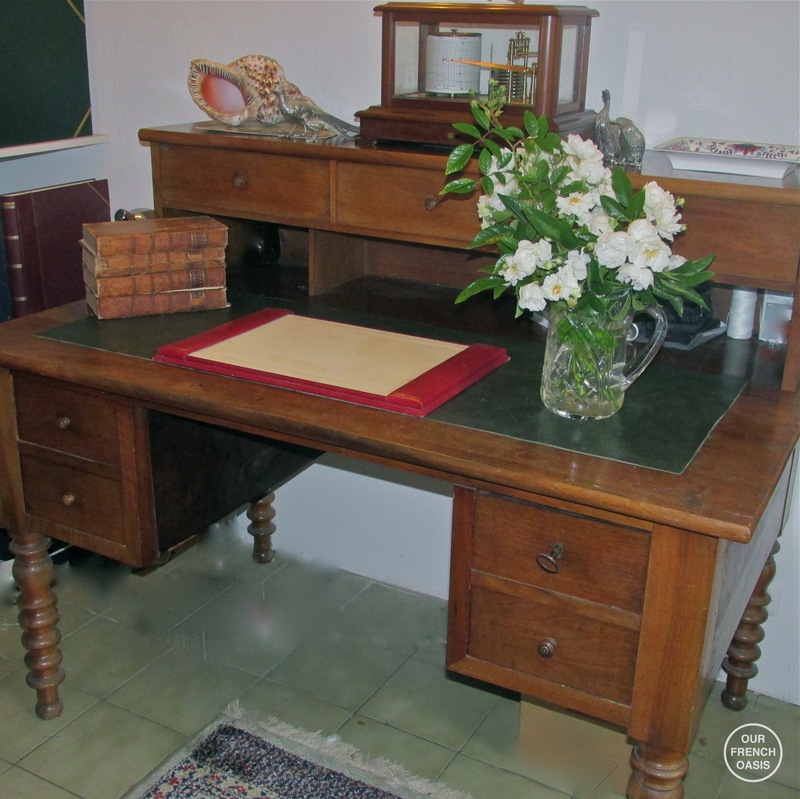 It is a desk that helped make history, and it is the desk where Roddy now sits and works today. It’s nothing fancy really, but that desk has an incredible story to tell. I am sharing this with you, lest we forget. To everyone who has fought in defence of our countries – whether it be a century ago or today, in modern warfare – I have the utmost admiration and respect for you all. We all do. The lives lost should never be forgotten, it is with their sacrifices, we continue to be free. You are so very right and it is so important that our children realise this and learn about it. Thank you for this beautiful post. We will never forget. I am American and we have a newspaper article, including a photo, of my San Francisco-born father and two other men who were the first ones after Pearl Harbor to go to the army recruitment office to volunteer to serve. He was also in the DDay invasion and we have his letter home from that fateful day. My oldest son was born June 6, 1986 and my father always called my son “DDay.” He thought it was so extraordinary that a day that had been so horrifying would follow years later with the birth of a beloved grandchild. But, he also didn’t forget and we will never forget either. How wonderful that you have his mementos. My family has someone from each of the wars but only their verbal tales remain. Wouldn’t it be wonderful if we could find a better way to solve the world’s problems? — but I believe we will always need brave soldiers to protect our freedoms. Hi Sarah, thank goodness for all the people who volunteer to join the army, the navy, the Air Force to keep us safe. I have so much respect for them. Such a poignant post. It really brought tears to my eyes. It made me think, too, of my Grandfather who fought in WWI. Sadly, although he amazingly survived the war at age 19, he died at 58 when I was only 6, so I was never able to learn about his war or if and where he fought. However, after my Dad passed away In September 2014, I discovered some cards and a short letter written – wait for it – in pencil, in tiny tiny writing. The letter was to his sister, my Auntie Nell with whom he was very close. At the top of the letter it says ‘Warloys 1918’ and tells how he is being moved to a new battalion, away from the Post Office Rifles 8th battalion London Regiment and how he will miss them. He says he is being sent ‘along the line’, which I guess meant he was being sent to the front. Warloys was a very large house where the soldiers were sent to rest and recuperate and was about 1hr 45mins from Ypres and just over an hour from Arras, so maybe he was sent to either one. I’ll never know, but I found a badge with ‘Arras’ on it so maybe… There were also about 7 beautiful little ‘postcards’ – do you know the ones with lace and embroidery on them? they were all sent to his sister and one has 1917 embroidered on it. So beautiful, I have to decide what to do with them. So many of our fathers and grandfathers had brave and tragic stories which were never told. Thank you for sharing yours and for what it’s worth Susie, I think you should consider setting out your Grandfather’s diaries into a book. That way, your children and future generations will have something that will not get lost or destroyed by time and it will be an everlasting memory of their brave Great Grandad. Just a thought. I hope we are not the last generation to remember what happened in WWI but for now, we will remember them. Very well written; It really makes you think about all the people who helped us be where we are today. May they never be forgotten! What a beautiful post. Thanks for taking the time to write this. My father-in-law was living in Ohio and fought in WWI. I don’t know anything about his experience as he never talked about his experience with his family and he died long before I met my husband, but I feel a little closer to him after reading about your grandfather. Thanks again. Thank you for your thoughtful post. It’s a personal education from you to me. I grew up in the middle of the US where the United States Strategic Air Command Center is located. I have never visited it. We had public air shows from the base but my family never went to them. My parents lived through WWII and were very fearful in living their lives. War wasn’t discussed. What a shame. The only education I received was through text books. I think it is so important for those like yourself share these personal stories. Thank you. Hi Amy, thank you for taking the time to comment, it is always much appreciated. Like in your family, no one ever really discussed the war years. My Father occasionally talked of one or two funny times during WWII, but never anything serious. I think it was just something people didn’t talk about. Oh my goodness – what amazing treasures! Thank you for sharing your day and thoughts with us. Hi Alison, thank you. 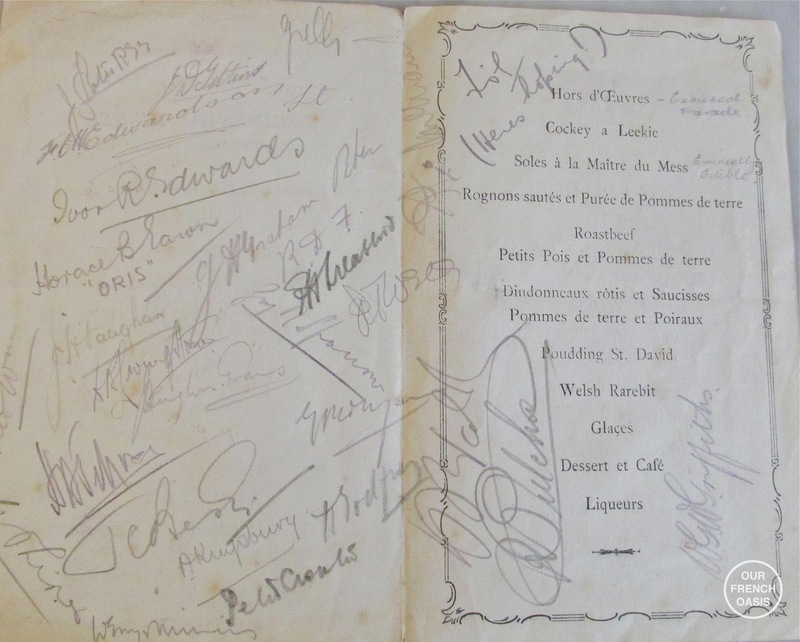 They are such fascinating things that I really know they are much better shared for lots of people to see than to be kept locked away in their little leather case! A beautiful living and poignant post. Thanks for sharing. That suitcase must bring back so many feelings and questions. How lucky you are to have your grandfathers memoirs. Are you planning on publishing them? My mother was sent to Dordogne during WW2 to escape the north of France. I feel honored to live here now, the area she loved. Thanks Nadia, he wrote his memoirs in the 1970’s, I have 300 or so pages of typed details! Now I have to slowly sort through them and edit them, but yes my husband and I, along with the children would all like to then publish them, but it’s a very long process! I hope you are really enjoying life in the Dordogne and I take it you are half French? Thank you, Susan. I know little about what my relatives experienced during the wars they were part of, because they too did not want to speak about, or remember, those times. I try to honor them and their sacrifices by doing all I can to work for peace. Thank you for sharing the story of your grandfather and the man and wife who used to own your property. Each of them must have had such gripping stories to tell. I am fortunate to come from a long line of servicemen and women both past and present. My British grandfather served in WWI but he died just before WWII broke out so I never knew him. My mother, born in 1909, used to say that he rarely spoke of his time in the trenches. Her brother was in the Royal Navy but was lost at sea early in WWII when his ship was torpedoed by a U-boat. My mother served in London’s St John’s Ambulance Service all through WWII. It was only late in life that she could bring herself to speak of some of the horrors she encountered in service. It was in WWII that my parents met and married. My father served in US 8th Air Force with a B-17 group in Suffolk. After the war, my father went on to serve more than 30 years in the U.S. Air Force with many of those years spent in the UK (where I grew up). After his death in 1984, we held his memorial in the small Norman church near his old WWII base and were able to scatter his ashes over his old airfield as a small strip of the old runway remains and the farmers who own it allowed us to fly from it in a small WWII vintage aircraft. Many locals from the nearby village attended. And, finally, following in their footsteps, two of my sons currently also serve in the USAF. In fact, my oldest son, who was particularly close to his grandfather, served for four years in the UK and actually lived in a home that stands near the end of runway where we scattered my father’s ashes almost 25 years earlier. My son became friends with the present day owners of the airfield (inherited from their fathers–some who knew my Dad). They allowed us regular access to visit the old airfield. And so, today, Veteran’s Day, my son happened upon a photo on the internet of my smiling father standing in front of his B-17. He shared it with the family and it brought us all to tears–grateful tears. Sorry for such a long coment, but your touching post reminded me of the importance of sharing the past with our families and remembering those who served. I am glad you have the treasure trove your grandfather left behind and that you were able to share it with your children. My children were fortunate to have had grandparents who told them their stories and though they are both gone now, their memories live on in our hearts and minds. Another comment….. People here mentioning how no-one talked about the wars reminded me… I didn’t even KNOW, until I was in my 50s, that my grandfather served in Gallipoli with the New Zealand troops. Fortunately for him he was injured and shipped out, as it was such a bloodbath he would have likely been killed. But why the family never mentioned that he had been there continues to baffle me. My father was in WWII and although he didn’t say much about it we at least knew! What those young men (and women) went though……. we can hardly imagine it.